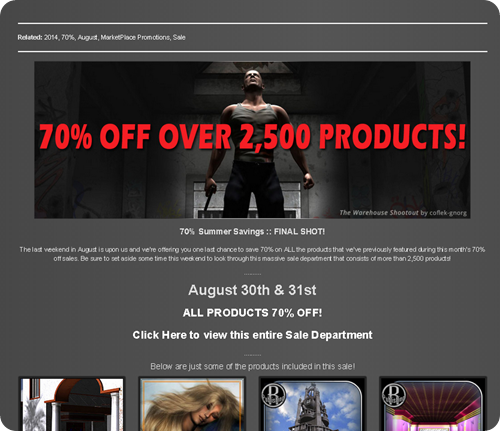 Renderosity held 70% off sale. 70% OFF Sale Catch-Up Now! This is catch up sale. Oh… I will buy some items…. powerage , mytilus, Oskarsson… There are too many great items!